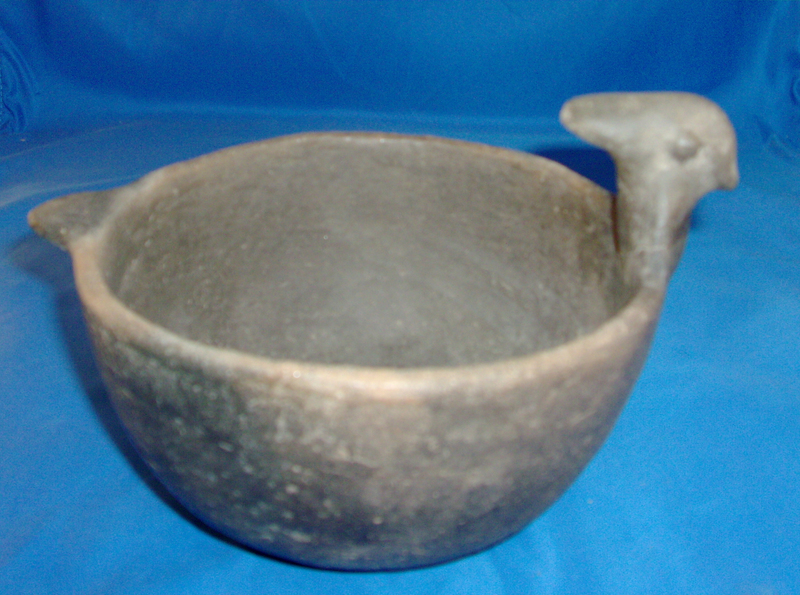 A Medium Size, Very Well Made, Mississippian Duck Effigy Bowl, That Exhibits Surface Sheen & Exterior Coloration Patina, Correct Style And Features, Correct Open Pit Firing,Visible Surface Shell Aged Deterioration,Correct Type Aged Firemarks, Correct Bottom Use Wear, Correct Type Material & Manufacture For The Area Found. Found On The Mississippi River Near Gale, Illinois. This Example Has The Feature Of A Wood Duck Or Water Turkey, In Solid Condition With Head Re-Attached! Includes A Ken Partain Certificate Of Authenticity!